adm Group has recently submitted its annual Communication on Progress (CoP) to the UN Global Compact – the world’s largest CSR initiative. 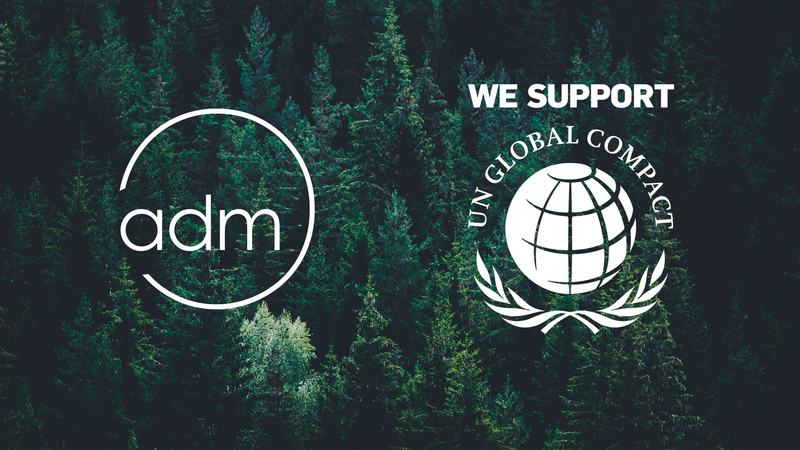 Since 2016, adm has been committed to the UN’s corporate responsibility initiative and its ten principles in the areas of human rights, labour, environment and anti-corruption. Last year, adm highlighted the importance of its partnership with the UNGC by becoming an annual donating participant. This allows adm to play a role in funding UNGC’s projects as well as attending meetings with other UNGC participating companies to share initiatives on innovation and sustainability. adm has made significant progress over the last 12 months to become a more sustainable and responsible business. Notable initiatives include donating IT hardware, educational programmes and continued long-term support to vulnerable young girls in Mexico, the development of our tree-planting programme and receiving further recognition for our sustainable supply chain practices. To view the full communication detailing our CSR progress in 2018, visit adm’s profile on the UNGC website. The UN Global Compact harnesses the power of collective action in the promotion of responsible corporate citizenship. The Global Compact provides a framework of ten principles in four different categories – human rights, labour standards, the environment & anti-corruption – within which companies are invited to manage their operations. There are over 12,000 company members based in 160 countries.